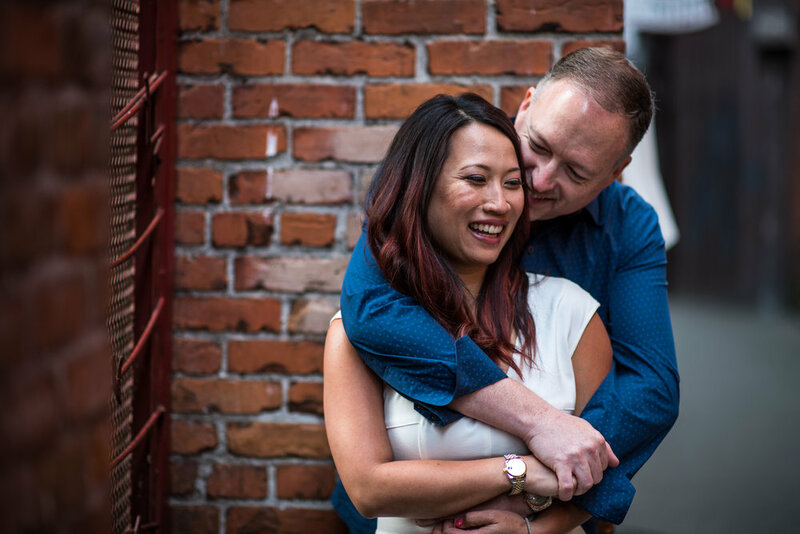 Susan and Peter are getting married in gorgeous Southern California, but approached us because they wanted us to do their engagement photos in gorgeous BC. We talked for a while about all the great places we could get together for their session; should we go to Osoyoos? What about Vancouver? In the end, the day before the photo shoot, they made the last minute decision to come to gorgeous Victoria and make a little weekend holiday of it. We were so excited! Vancouver Island has some of the most amazing places to do photos, which still end up being quite private. We met at Fan Tan Alley downtown and immediately hit it off. Peter and Susan had one-liner after one-liner and lots of funny banter that kept us on our toes, and hurt our stomach from laughing so hard. 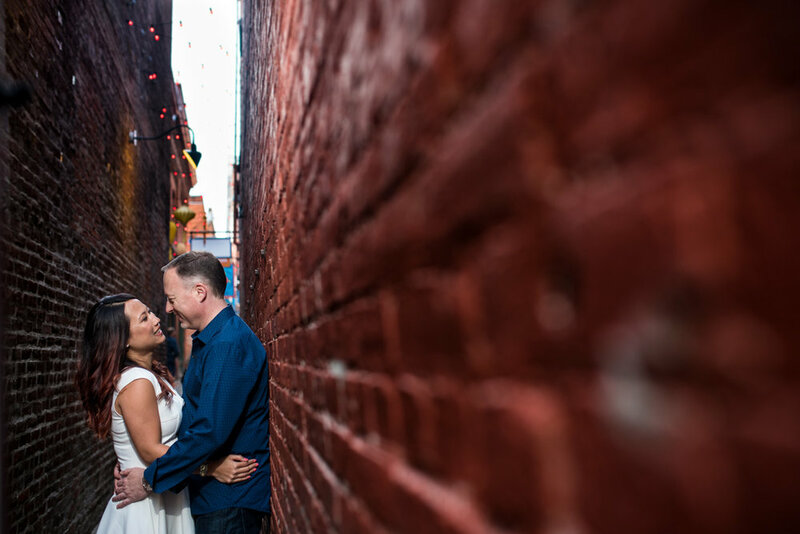 We love to see couples who can effortlessly make each other burst out laughing and smiling. 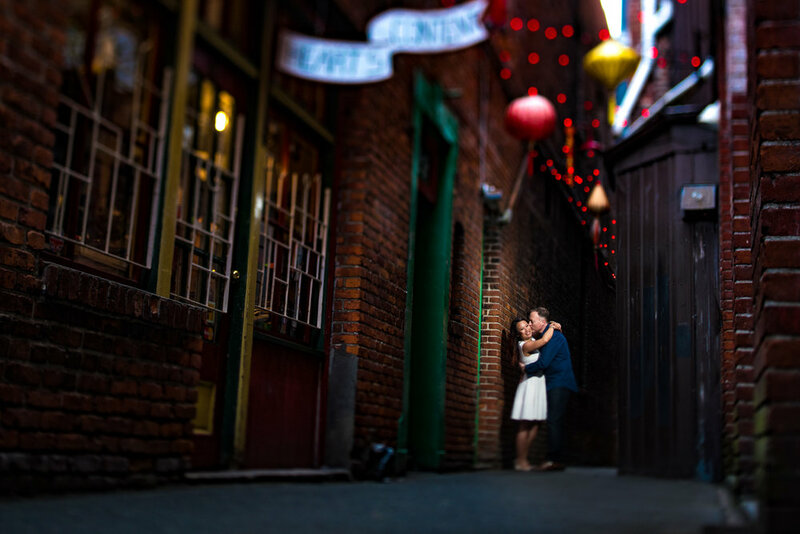 We explored around the alleys for a while and then headed through Beacon Hill Park before ending our session with with some intimate time on the beach. It was great shooting Susan and Peter in these iconic Victoria spots, on a gorgeous day before tourist season; it felt like we had the whole town to ourselves and we could capture Susan and Peter in their element. Thanks for the hilarious memories Susan and Peter, and thanks for coming all the way to the Island to let us photograph you! Hope you love the photos, here's a few of our favourites!